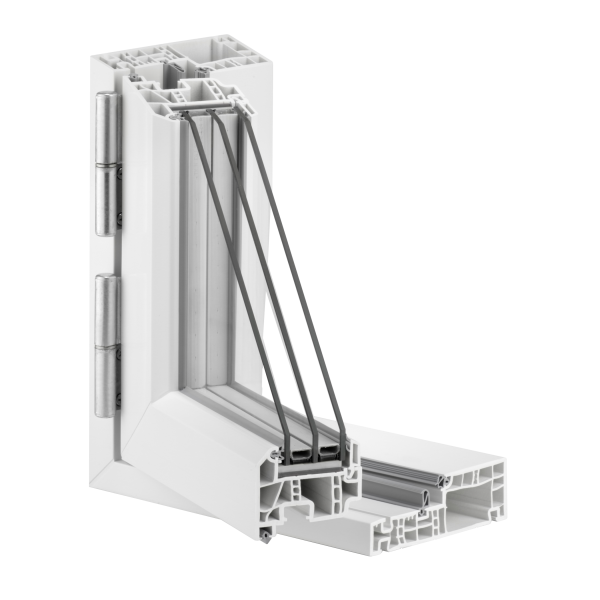 - Fully self-reinforced window system without additional steel reinforcement. 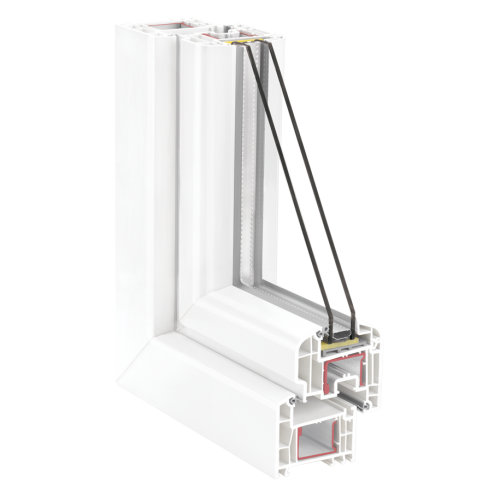 - When fabricated with appropriate glass, windows made from GENEO® are Passivhaus certified. - Environmentally friendly, as it’s recyclable. - Sightline of 115 mm to let maximum light in. - Profile depth: 70 mm. 5 chambers. - Wide design options: wood effect laminated foils, varnishing or use of aluminium cover plates. - Window and balcony door construction. - Soundproofing windows for extreme requirements up to noise insulation class 5. - Inherent strength and thermal stability due to the RAU-FIPRO® self-reinforced material used. 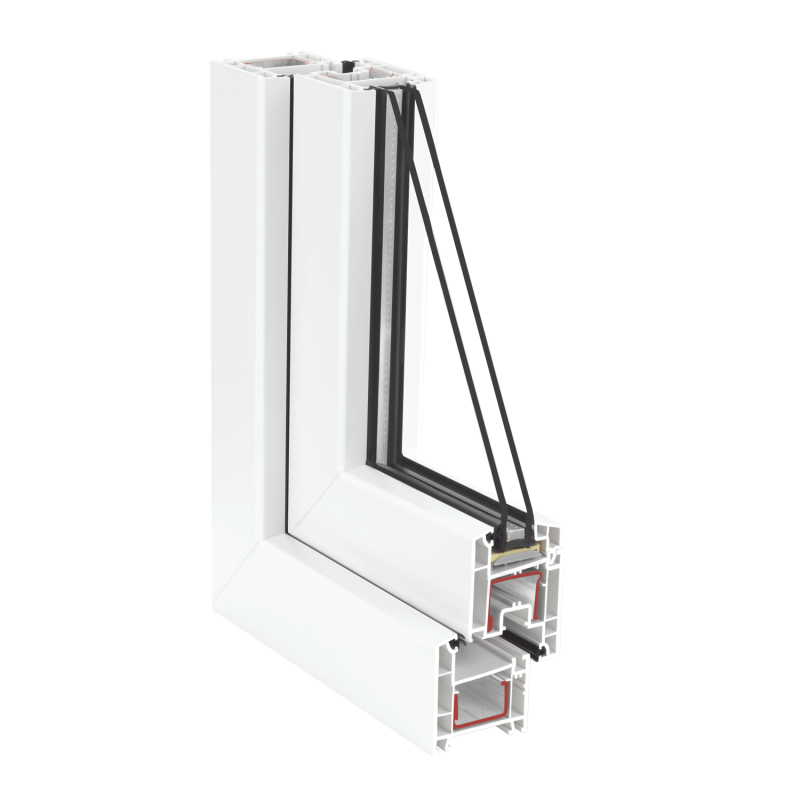 - The 120mm frame depth and 67mm sash depth means that double glazed and triple glazed units. 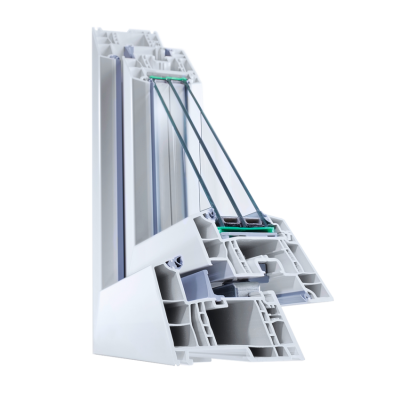 - Slim and elegant PVCu profile designs that will enhance the refurbishment of buildings. - No reinforcement required for a range of element sizes.